The 111th Canton Fair(Spring Edition) was held on April 15-19 as scheduled at Pa-Zhou Exhibition Center. 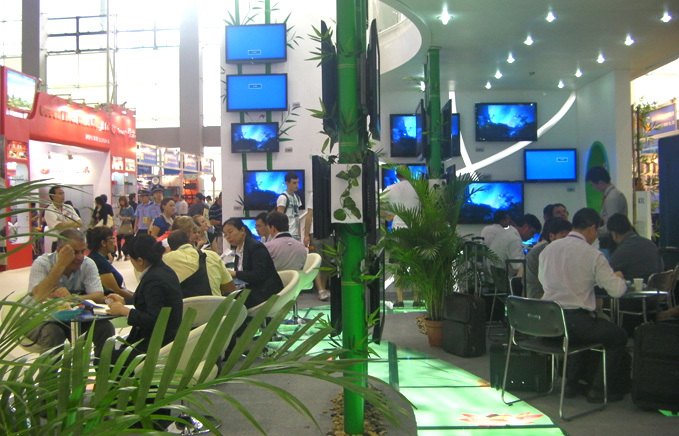 Well-known home and overseas electronics enterprises participated and exhibited their 2012 latest and most characteristic products. 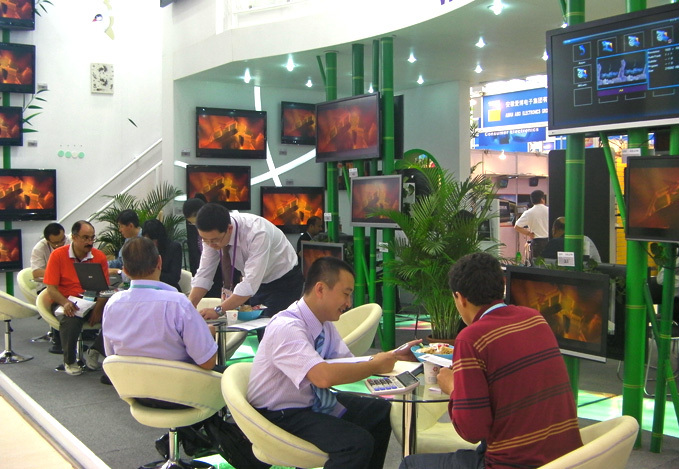 KTC exhibited 3D smart TVs which had gained outstanding achievement. The 3D smart TVs displayed in this exhibition carry Andriod operating system and wifi, which can connect the Internet and transmit data with an external device easily. The 3D TVs integrate 3D movie, free access to Internet, smart software installation. Furthermore, intellectualized operation and abundant resource from Internet bring customers diverse experience. At the same time, we put LED TVs on display with various models, including L11, L13, L14, L15, L17, L21, L22, L31 and all these are exclusive moulds that had been an eyecatcher on this fair. The L31 series is our latest developed model, possessing the characteristic of ultra-thin, narrow bezel and fashion. In addition, 32L31D TV adopts the appearance of L31, also self-developed D-LED panel is equipped to it, which demonstrates our innovation strength. Besides products, the decoration style and design of our booth are also eye-striking. There is a creek-like luminous strip on the platform dotted with golden fishes, creeping through the booth and flowing under customers' feet. Its beauty and vigor endow industrialized content with the vitality of life and the enjoyment of art. Green and luxuriant bamboo and branches thrive the booth with rigorousness. All these things provide ecological and domestic decoration concepts which is the first attempt in the history of exhibition decoration. It created a fresh and clean environment, presenting a new appearance and leaving a deep impression to customers, which integrate with the demo"Kongfu Panda". On this exhibition, old and new customers visited our booth as an endless stream. Most of them are from South America which indicates the booming demand of emerging market. In the meanwhile, our products attract attention from many professional customers and receive praise for design and quality. Korean trading delegation invited KTC to a dinner party which promoted the exchanges and cooperations between Korea and China. Due to the popularity, unique and beautiful decoration style, abundant products and concentration on TV manufacturing, CCTV made an interview with our staff. Our staff introduced products on exhibition to interviewer, elaborated our production strength and innovation strength of 3D TV and smart TV manufacturing. When talking about how to deal with the effect of European debt crisis, our staff said confidently that considering the current situation of European market, we would intensify effort to develop South America and other emerging market, at the same time, develop more products according to market demand and work hard for achieving peak in foreign trade business.